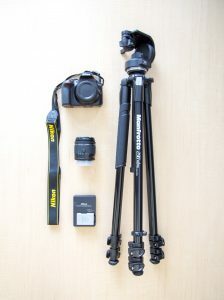 If you'd like to take studio equipment on the road, take a look at these audio and video kits available for check out. To borrow an A/K kit, request a one-on-one helpopens a new window appointment. Please submit your reservation requests at least three (3) days in advance as an appointment with a librarian is needed before checking out an audio or video kit. Record video at 1080/60p Full HD video or capture five photos per second. 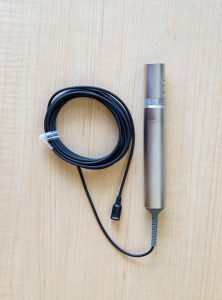 Record audio with this lavalier (also called lapel) mic. 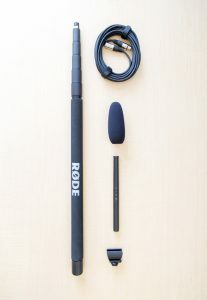 Capture clear, directional audio on all your subjects when you use a boom microphone and boom pole. 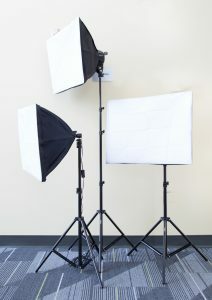 Illuminate and enhance your subject in your photography and videos with 3 point lighting. 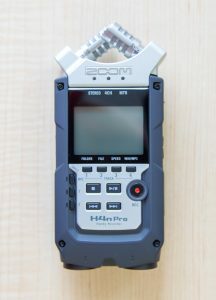 Record four-track audio for movies, music, podcasts and more with the Zoom H4n Pro. 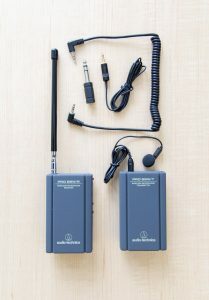 Pairs with any of the Mic Kits.